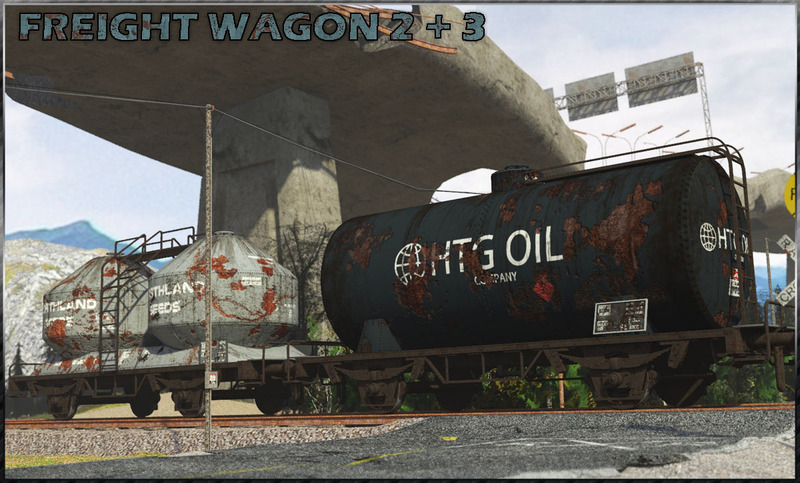 Here come Rail Wagon 2 and 3 for your railtrack scenes. Wagons are boned, clutches can move. Works perfectly with the Outside World Scenes. Rem. : This package is defined for Poser, Items load OK in D/S, check readme for further information.